Band formed in 1988 and are from Greensboro, NC. 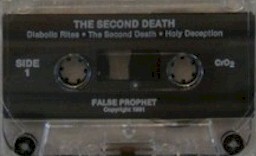 FALSE PROPHET issued the demo 'The Second Death' in 1992 prior to evolving into INFERNAL HIERARCHY (NO DEMOS). 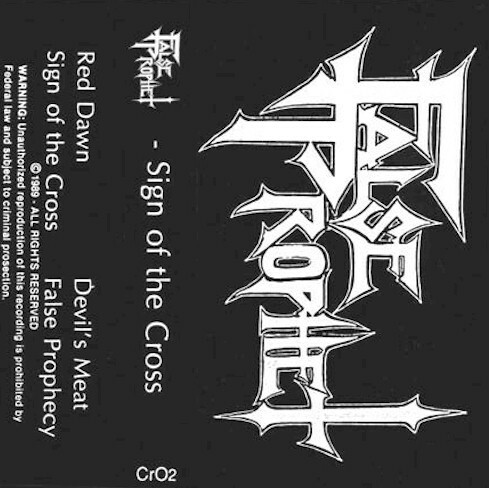 Drummer Tim Haisman journeyed through a plethora of acts on the North Carolina scene including Death Metal band BLOODWRITTEN, WIDOW, LEADFOOT and Punks NEGATIVE STATE. Pro printed covers. Pro printed tapes. Lyrics on back.